One of the reasons why people are pursuing higher education is to better their lives. With the help of financial aid and student loans, more and more people can receive a degree from colleges or four-year institutions. The problem is that once students graduate and get their degrees, they are facing significant educational debts that hinder their goal to be financially stable. However, their struggles do not just stop after receiving their diplomas. While students are excited to graduate, they are also haunted by the thoughts of how much will be deducted from their paychecks. Devann Cowden is a full-time student at Allegany College of Maryland. She is majoring in psychology. Upon her graduation, she plans to further her education at Frostburg State University to become a certified counselor. Syully Koroh is a full-time student of the Human Service Associate Program and also enrolled in the Allegany College of Maryland (ACM) Honors Program. 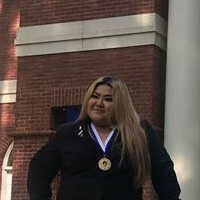 She is the Phi Theta Kappa Middle States Region-Washington DC/Maryland State President, a ACM Student Government Association's Representative for the Maryland Higher Education Commission - Student Advisory Council, and a Peer Mentor for TRIO/Pathways for Success, a federally-funded program at ACM that provides assistance for students with disadvantaged backgrounds. Her essay, titled “Our community’s opioid crisis: It takes all of us to win the fight" was published in Expressions Literary and Arts Magazine, 2018. Syully aspires to be a substance abuse counselor. Upon her graduation from ACM, she plans to pursue her bachelor's degree in Psychology from Frostburg State University. Andy Plummer is a full-time student at Allegany College of Maryland. He is pursuing his degree in Criminal Justice while having a GPA of 3.9. He is a member of the Phi Theta Kappa and also the Criminal Justice Club (C2J). His plans are to pursue Law and Society at University of Maryland University College. The student debt crisis in the United States has impacted the country socially and economically. Especially in Maryland, the debt burden is very high. According to Sean Miskell in his article on Maryland Center on Economic Policy, "Some estimates put the debt burden for Maryland's college student borrowers as the highest in the nation, threatening not only their own economic futures, but of that of the entire state." Many factors that lead to the student debt crisis include the insufficient knowledge in the available scholarships offered, borrowers' lack of knowledge on different types of loans, and repayment plans. According to Kelley Holland on The High Economic and Social Costs of Student Loan Debt, an article written for CNBC, "The numbers are staggering: more than 1.2 trillion in outstanding student loan debt, 40 million borrowers, an average balance of $29,000." The same source also mentions that if recent graduates want to build on their future, however, they put on hold getting a house, getting married and having children, because student debt is overbearing to accomplish these goals. As time goes on, college tuition increases which means that college students need to borrow larger loans to pay for schooling. Many students are not aware of scholarship opportunities that are available. They rely solely on the offered loans. In many cases, they don't even know they are eligible for the scholarships. As a result, they lose the opportunity to graduate with lesser debt. In a 2012 report, the Consumer Financial protection Bureau found that many students borrowers may not have understood the difference between a private loan and government loans. The default rate on private loans have significantly increased since the financial crisis of 2008. According to Governor Hogan, "In Maryland, nearly 60 percent of all college students are graduating with thousands of dollars in student debt. This financial burden is preventing young Marylanders from achieving financial security and has become a roadblock to home ownership and saving for retirement." Interest rates in Maryland are generally anywhere from 6.5% to 18.5%. As a result of high interest rates, recent graduates who make the minimum payment will typically be in debt for a very long time since they are basically paying the interest instead of the loan itself. In Maryland, they are several student loan forgiveness programs that are specific to the state of Maryland, in addition to a different federal student loan forgiveness programs. These programs or initiatives can potentially be the solution to lower student debt. Media’s depiction on individuals with student debt are said to be “unrepresentative and misleading” because it does not cover enough about the reality that most education borrowing improves people’s lives by increasing educational opportunities. SURVEY 2014: BANKRUPTCY + STUDENT LOAN DEBT CRISIS. The article talks about the impact of filing a petition for bankruptcy relief and proposed changes to Bankruptcy Code in relation to student debt crisis. This article talks about concerns and criticisms of the cost of higher education and the debt burdens of students. It also explores how they are used in public discussion of college cost on how student debt can get in the way of achieving life goals. The article is about suggestion on things that should be taken into consideration before applying for student loan, including recommendation for filling the Free Application for Federal Student Aid (FAFSA), a more affordable in-state Student Aid that might better than the private one, and and need for making repayment plan. The writers suggest that it is time to broaden the conversation about the roles schools and colleges of pharmacy in minimizing tuition increases, offering student scholarships, and educating their graduates about how to wisely manage their money as they transition from student to new practitioner. He talks about the seven solutions for college students in the U.S.in paying back their loans. He says that consolidation program lets students combine all their federal loans into one loan. Mounting student loan debt is troubling the United States and affecting institutions and economic patterns that have been at the core of America's very might. This source talks about the factors that lead to high levels of debt for Maryland’s student borrowers. It discusses the consequences of this debt on borrowers and the economy and the potential solutions to the problem at the state level, particularly as they relate to state investment in higher education and cost of tuition. Governor Larry Hogan’s announcement on a comprehensive series of initiatives to make a college education more affordable and provide relief to Marylanders burdened by student debt. 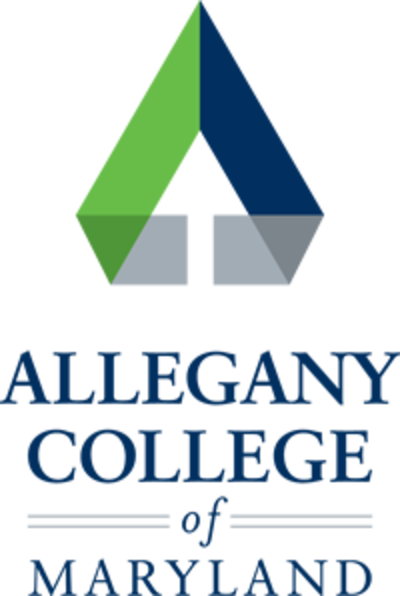 Allegany College of Maryland is a high quality, low-cost educational community college with its main campus set in the mountains of Maryland's Allegany County and a branch location in Pennsylvania's Bedford County. Enrolling over 3,000 credit students and logging nearly 14,000 continuing education registrations per year, our small, attentive college atmosphere engages students of all ages and backgrounds in rich, challenging learning opportunities. Whether we're preparing students for career entry, readying students for transfer, or simply helping individuals rediscover their personal interests, we prepare students for lives of fulfillment, leadership, and service in our diverse, global society. Have a required personal finance class to provide insight on what will happen as a result on a 6% interest loan compared to a 15% interest loan, to make sensible financial decisions, etc. Creating a work study program that repays the loan instead of giving a paycheck to the student. Prior to taking loans, students must attend mandated workshops to better equip them in making decisions on loans that are financially beneficial and what loans to avoid. Also this would inform the student of the Master Promissory Note which they need to sign before being able to accept the loans. Most of the scholarship opportunities require more exploration. This means that if students don't particularly search for them, they will not be aware of them. Moreover, students easily get intimidated by the word "scholarship." Most of these students think that they need a high GPA to be eligible to apply for the scholarships. The fact is, there are several scholarships that only require a 2.0 GPA. Since these are not advertised well enough, students are not aware. In this session, the assigned government officials will explain to the graduating students different ways of repayment including how to get a lower interest rate, refinancing their loan, the Maryland student loan forgiveness programs, loan assistance repayment programs, and what necessary steps to take. The only cost associated with these proposals would be the cost of an instructor for the proposed trainings and classes at the 9-12 grade level. The cost savings to the student would outweigh the budget as the student would be able to take their savings from decreased loan amounts and put that amount back into the economy.